Thank you for your interest in our coaching and personal training services. Please contact us with any questions you have and we'll get back to you asap! Follow Narabang Way all the way down to the end of the col de-sac, follow it around and turn left when you see the sign 15-25 Narabang Way and our A-Frame sign - "Birthday Suit Alterations Here". Drive down the drive way to the very bottom (it's a one way system) until it sweeps around to the left. You'll then see an entrance ramp to some under ground warehouses. 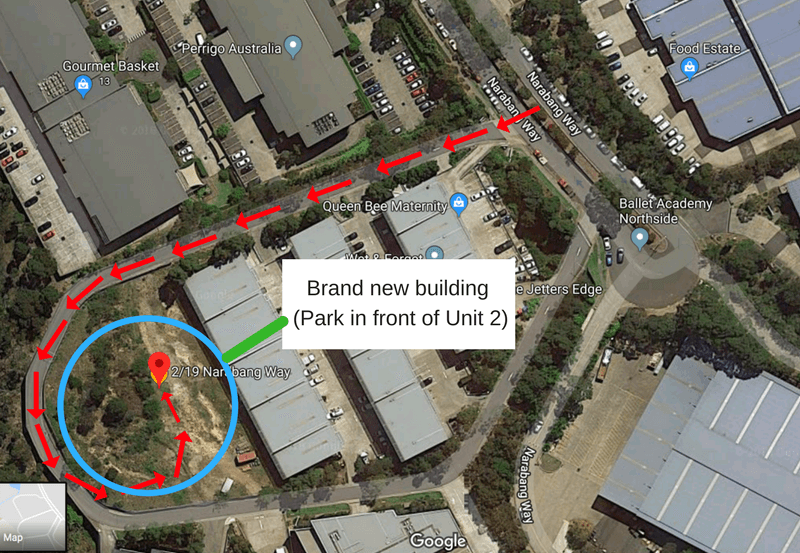 Drive up to Unit 2 (you'll see some white tear drop flags) and park in the allocated parking spots (or in front of our roller door). Don't worry, we have 2 x allocated parking spots just back up the driveway you drove down (see picture). 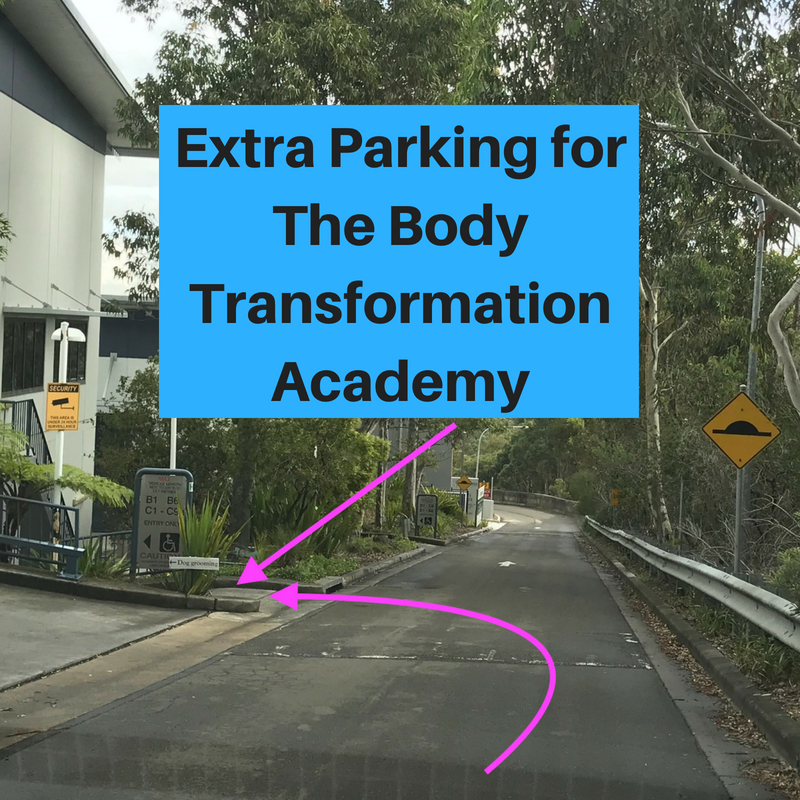 Simply drive back down the entrance ramp (where the birthday suit alterations sign is) and take the 3rd driveway into the undercover parking. 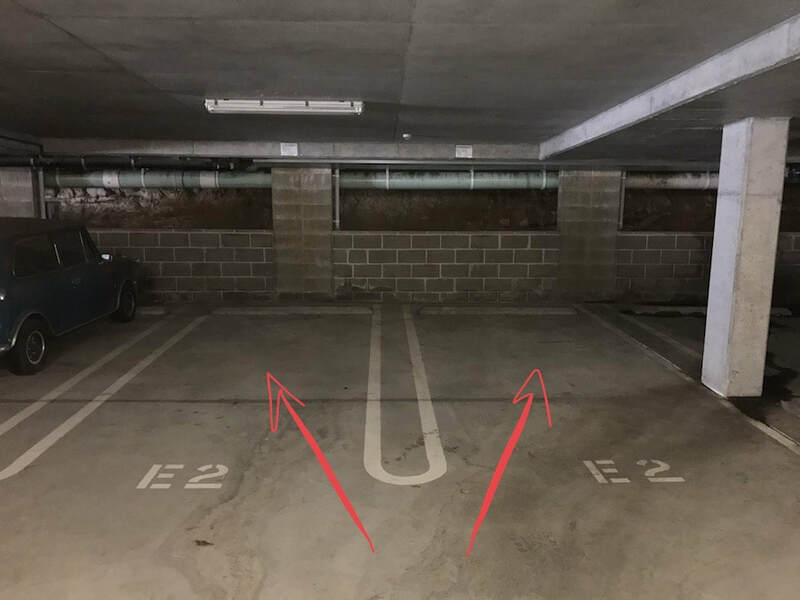 You'll see 2 x allocated spots on your left (signposted) as E2. If you have any issues, contact 0415132068.